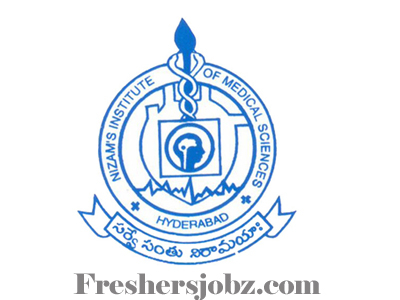 NIMS Hyderabad Notification 2018.Nizam's Institute of Medical Sciences, Hyderabad has released a notification for the recruitment of Medical officer,Study Nurse,Lab Assistant and more vacancies.Check the eligiblity and notification prior to apply for the positions. Qualification: High School with 5 years experience or ITI in relevant trade. Qualification: MBA, Diploma in Clinical Research with 2 years research experience. Qualification: B.Sc (Nursing) with 3 years experience. 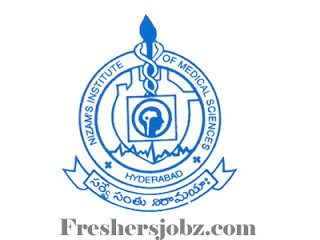 Applications should be sent: Dean’s Office, NIMS, Punjagutta, Hyderabad. Last date for receipt of filled in application: 29.10.2018.